How might the rest of the EU respond to a British vote to withdraw? Tim Oliver begins a series for LSE BrexitVote in which researchers based in the other 27 EU member states set out what positions their governments may take should exit negotiations be triggered. As he makes clear in this introductory piece, while this is a very speculative exercise it will shed light on a side of the debate so far overlooked: the way the EU will shape what happens after a vote to withdraw. Amongst the many April 1st joke articles were a few claiming the EU was drawing up contingency plans for a British exit. Ideas included a ban on BBC period dramas to protect European cultural heritage and the adoption of American English for EU documents. But some of the ideas, such as refusing to negotiate a free trade deal and isolating the City of London, were not ones easily laughed off. The rest of the EU will be thinking about a British exit, albeit behind firmly closed doors. With polls showing neither side in the referendum campaign has a clear lead, the rest of the EU would be acting in a perfectly rational way by thinking about what to do if the British vote to leave. Not only does the rest of the EU need to think through how to handle a UK exit, the British public need to appreciate what positions the remaining EU might take up in the series of negotiations that would follow a vote to leave. The UK government and institutions such as the Bank of England and private companies have also been urged, most clearly by the Leave campaign, to prepare contingency plans. The referendum debate has so far focused on what exit deal would be best for the UK. That ignores that the deal the UK gets will also be one that meets demands set down by the EU, and it is this side of an exit that remains largely overlooked. What conditions might the remaining EU (rEU) of 27 member states and the European Parliament (who will have to sign off on any deal) place on any exit deal and post-withdrawal relationship with the UK? 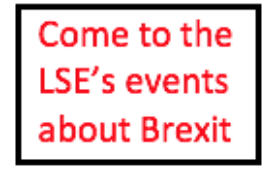 Over the next few weeks the LSE BrexitVote blog will be publishing short comments from researchers based in all of the other EU member states in which they will set out what issues their government may prioritise in an exit negotiation. The series builds on the work of previous series on UK-EU relations run by the LSE’s EUROPP Blog and the DGAP. There have also been surveys into how the publics of other EU states view the UK’s debate and a growing range of analyses that look at the potential economic impact a Brexit would have on various EU states. The biggest problem facing such an exercise is secrecy and an unwillingness to discuss this issue. Governments – including the UK – are unwilling to discuss their possible positions openly in case it is taken as an indication that they consider a vote to leave to be likely or inevitable. No doubt some will interpret this exercise in such a way. Alternatively, they might not want to admit that they are doing no contingency planning and banking everything on a vote to remain; something the UK government has been accused of doing. To be fair, the rest of the EU may also view preparation as pointless given it will be for the UK to make the first move by putting forward an exit proposal. This does make this exercise a highly speculative one. But we believe that beginning to map out how the rest of the EU might respond to an exit is important for the UK’s debate because it can help show what Britain could expect if it leaves. If governments are not prepared to discuss this topic privately then this exercise can also serve as a way by which ideas for handling a UK exit can be discussed openly and set out. Before we can speculate on what the rest of the EU will set down as their negotiating positions for any UK exit we need to clarify the process that would handle a withdrawal because this is in itself contested. The EU does have a withdrawal clause, Article 50. Introduced during the attempt to create a European Constitution, and done so by former British diplomat Lord Kerr, the article is untested although there is a growing literature about it. Article 50 gives the rEU control of the process. It includes a requirement to negotiate an exit within a two year framework, extendable only through unanimous agreement with the rEU; and the 27 remaining member states and the European Parliament have to agree to any exit and post-withdrawal relationship. Neither of these requirements is to be casually dismissed. In fact, they pose such obstacles for the UK that some Eurosceptics (as explained here in a critique of this view by Alan Renwick) argue the UK need not follow Article 50 and instead follow another process entirely. Some Eurosceptics also claim the two year timeframe can be neutralised by the UK delaying notification of its intention to trigger Article 50 – and thus start the two year timeframe – until a later date by which most of the negotiations will have been concluded. Both claims are highly suspect. The rEU will not casually ignore its own treaty requirements and is unlikely to follow some other process because it strengthens the UK’s negotiating position. Victorious Eurosceptics are unlikely to react positively to waiting around for several years for the British Government to submit its formal declaration to withdraw from the EU. The negotiations that do take place will be led on the rEU side by a team from the European Commission reporting to the European Council. Who will lead the UK’s negotiating team is unclear because of the uncertainty hanging over the future of David Cameron. He has said he intends to stay on as Prime Minister even if the UK votes to leave. If this is the case he may not be in the strongest position to negotiate, throwing a shadow of doubt over the entire process. Cameron’s occupancy of 10 Downing Street may also overshadow how the UK handles its own complex series of internal negotiations over a EU exit and in any negotiations with countries outside the EU. A British exit will trigger several sets of negotiations on the rEU side: UK-EU, EU(UK) and EU(EU). They each overlap, but we must take a step back to view them as separate ones that will influence each other. On Monday 25 January 2016 the think tank Open Europe ran a Brexit war-game in which during the morning they played out a simulation of the then ongoing attempt to renegotiate the UK’s current membership and in the afternoon simulated a UK-EU exit negotiation. In the afternoon’s exit simulation former Chancellor of the Exchequer Lord Lamont, representing the UK, presented an offer to the rEU of a new relationship that included aspects similar to the Canadian-EU trade deal and a budgetary contribution to the EU similar to those paid to the EU by Norway and Switzerland. What the simulation turned into was a UK-EU to and fro about the UK’s initial offer. What could have happened (although limited time meant it would have been difficult) after an initial exchange of positions was for Lamont to withdraw leaving the rEU to discuss amongst themselves what to do and what to offer to the UK. Lamont could have returned at the end to discuss whether any offer then put to him by the rEU was acceptable. The EU is notorious for presenting offers with little room for compromise because the offer is in itself a compromise worked out between 28 member states – with attention also paid to the opinions of the European Parliament and ECJ – which the EU is loathe to unpick. Whether the rEU can reach such a compromise on what to offer the UK will be the focus of a great deal of the negotiations and play a significant part in deciding what form of deal the UK can expect. Article 50 states that the UK remains a member state until a withdrawal has been agreed. Until then it is entitled to partake in all EU business and meetings except those that relate to its withdrawal. This does not mean the UK is banished entirely from the EU’s negotiations about a Brexit. It does, however, mean that the rest of the EU will have the right to discuss the UK exit without the UK’s presence. As it did with the renegotiation, the UK will put on a concerted diplomatic effort to shape the positions of various member states and EU institutions. Unlike the renegotiation, the UK cannot assume it will automatically have the right to sit in on all EU level meetings on the matter. How the EU – collectively or as individual member states and EU institutions – responds to a Brexit will depend on five Is: Ideas, Interests, Institutions, International and Individuals. The biggest tensions will be between balancing ideas and interests. Will the rEU prioritise ideas of integration and cooperation to protect against the potential damage a Brexit could do to the ideas of European integration? Eurosceptics frequently point out the EU is a political project. Will it therefore be the ideas behind this project that shape the EU’s response? Or will it be national interests that win out thanks to pressure from the likes of German car manufacturers, Irish farm exporters or consideration of an EU trade deficit with the UK that in 2014 hit a record high of £61.6 billion? This is not to suggest that interests and ideas are mutually exclusive. But which will shape the negotiations most? Institutional limits such as WTO rules and the EU’s own rules limit what the EU can and cannot do to punish the UK or offer it in terms of a new special relationship. International pressures may help convince some EU member states to seek a quick agreement with a country that still packs a punch internationally. We should also not overlook the individuals involved. Will individual leaders such as Merkel or Hollande be in a position to offer much given they face difficult domestic elections in 2017? A Brexit will not have a uniform effect on the rEU (at least economically), meaning some leaders will take the issue more importantly than others. 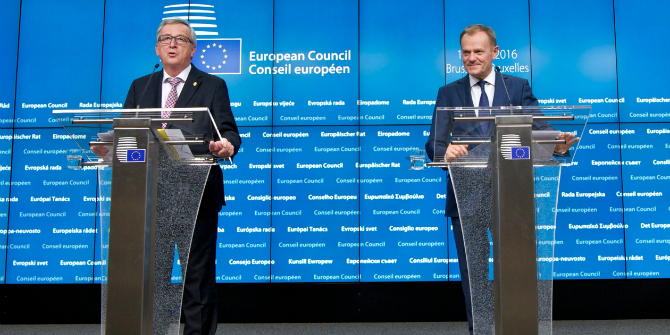 It will be these individual leaders who will need to rebuild trust between the UK and the EU. A Brexit would make worse a relationship where trust has been lost thanks to the renegotiation and UK indifference to the crises in the Eurozone, Schengen and Ukraine. These changes will be fought over because of the wider change to the rEU’s balance of power and direction that a British exit could shape. These are changes that will add to a union already in a state of flux thanks to the continuing fallout from the crises in the Eurozone and Schengen. There are a myriad of potential outcomes. 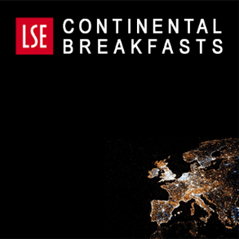 Some see a Brexit potentially strengthening Germany and the Eurozone; it may tip the EU’s centre of gravity further east and southwards; the EU’s political economy could move away from an ‘Anglo-Saxon’ one towards one that is more inward looking; the EU’s attempts at cooperation in foreign, security and defence policy (with potential implications for EU-NATO/Atlanticist relations) could be transformed. Such changes will emerge over the course of several years, but the opportunities and dangers will not be far from the minds of EU leaders. It is also in these internal negotiations that we will see played out responses to any disintegration pressures a Brexit brings about. If other member states seek new deals or hold withdrawal referendums then the EU’s internal debate about how to change will take on a whole new meaning with potential knock-on implications for the UK-EU negotiation. A fourth series of negotiations may be necessary if a British exit changes the relationships the rEU has with other non-EU states such as Norway, Switzerland, Lichtenstein, or Turkey. Should the new UK-EU relationship involve the European Economic Area (EEA) or European Free Trade Area (EFTA) then there will be discussions primarily with Norway (EEA) and Switzerland (EFTA) about how the new UK-EU deal affects relationships that have in the past been largely tailored to their needs. Should the UK secure some new form of relationship then these other states may be minded to request changes to their own relationships to replicate the UK deal. While all this is going on the UK will remain a member of the EU, able to vote and conduct business in the way any member state is entitled to do. There will be some unease within the rEU as to whether the UK should vote or make decisions on matters that will shape the rEU’s policies post-UK exit. There may be some pressure for the UK to withdraw from such discussions. What for your member state/institution might be the most sensitive issues – economics, immigration, security concerns, or political issues such as preventing further withdrawals – in a UK-EU exit negotiation? What red-lines might your member state/institution have for any exit deal the EU offers to the UK? What might be the cost or gains for your country/institution from a UK withdrawal? As noted above, the answers to these will be very speculative. As we approach the 23 June we may see the UK’s official leave campaign set out reasons tailored to each of the other 27 EU member states and the European Parliament as to why it will be in their national, institutional and collective interest to adopt any exit deal the Leave campaign puts forward – if the leave campaign can agree on what deal they would seek, something that is in itself far from certain. This series will give us some idea as to how the rEU might respond and go some way towards filling a gap in the UK’s referendum debate. This post represents the views of the author and not those of BrexitVote, nor the LSE. Image from the European Council press conference 18/2/2016. In the event of a Brexit vote we will find that as the EU clarifies its position as to what to offer the UK in a trade deal we will witness many denials by UK ministers in the House of Commons & elsewhere that the UK is not contemplating an empty chair strategy at NATO HQ. The message will get home. Yes, we get your message. The message that you want Britain to play the part of an attention seeking child who if it doesn’t get its way with the EU should sink even lover in everyones estimations by throwing its NATO toys out of its pram. But what will you suggest when everyone, America and Canada included, refuse to pick up your toys? What will you then suggest boycotting? Transatlantic trade deals? The nuclear and intelligence relationship with the USA in some desperate hope we then apply pressure on the EU for you? European sport competitions? Eurovision? Maybe you will tell Britons and British diplomats to stand up and scream the words to ‘Rule Britannia’ at the rest of Europe until they (and the rest of us) tire and give in? Or maybe you’ll suggest sending gunboats to bombard European ports (or threaten them with those nuclear weapons you rely on us for)? Perhaps you’ll think a policy of aligning Britain with Vladimir Putin’s Russia is a sound course of action, polonium-210 and all? Oh, but no, you’ll no doubt recommend ‘splendid isolation’, thinking that if you do the world will leave Britain alone to sulk in a corner or be so lost and confused that Europe will all get down on their knees and beg you to come back and lead (although I can’t think of when you have led in recent years). Your country’s diplomatic skills were once greatly respected and your diplomats must feel humiliated at how their country now appears to the rest of the world. People like you want it to behave like an obnoxious attention seeking child in kindergarten who desperately wants to be the center of attention but who fails to appreciate that its whining irritates everyone. Grow up. If you are determined to walk with your head in the clouds so be it. Only today the German Foreign Minister said that the NATO exercise presently underway in Poland is “Warmongering”. Now Gregory tell us all that this German position is what you wanted from the EU all along. As for your “grow up” snide remark it does you no credit. It does you no credit that you recommended that your country pursue a childish policy of secretly threatening to boycott the military alliance that secures it and the rest of Europe if it doesn’t get what you want it to in the EU. France went through with such a threat in the 1960s before quickly negotiating a series of secret agreements that saw it in practice remain a part of the alliance. You’re walking with your head in the clouds if you think the USA and the rest of the alliance wouldn’t see straight through a similar threat from the UK. Steinmeier’s statement was a warning about what he saw as a potentially dangerous development for the future of NATO-Russian relations. What he didn’t do was threaten in public or in code the idea of Germany boycotting NATO if it fails to get its way in the alliance, the EU or something else. You might do better if you were to read the text of the NATO treaty. I assume [correct me if I am wrong] that you have not read the text of the NATO treaty. I commend Article 5 to you. Come back to us all after that. The NATO treaty Gregory is akin to a piano inasmuch as you can play any tune you like on it. You change your tune with each comment, Jim. You begin with a song about Britain issuing veiled threats to boycott NATO if it doesn’t get its way with the EU. That plan having been shown to be immature and pointless you then sing a song about German Foreign Minister Steinmeier’s comments about NATO exercises, hoping your new song will distract from the flawed lyrics of your original song. Rumbled again, you sing a song about NATO’s mutual defence clause, claiming members of the alliance can all play whatever tune they like on the NATO piano. But you’ve still not explained – in song, poem, or text that extends beyond several badly thought through lines – why the rest of the EU should react to veiled threats by the UK to boycott NATO, especially if as you claim a country can play any tune they like on the NATO piano. I’m sure in your next comment you’ll change your tune again and avoid dealing with to the flaws in the proposal you first posted. You might also do better, Jim, if you were to learn the difference between square brackets and parentheses. You will recall that sarcasm is the lowest form of wit. Please do not continue with your sarcasm. Either one accepts or does not accept that the “EU” has been subject to a takeover by the eurozone. If you do not accept that then you will not be open to any argument contrary to your present view. As to threats about NATO, no threats have been made but you must be aware that actual threats have been made by EU politicians including Hollande & threats have to be dealt usually in kind. Nothing unusual there then. You seem not to have read the text of the NATO treaty which is not what most people think it is & it does not give the security politicians asserts that it does.That is my point. Read it. If my use of brackets & parenthesis offends you, sorry, but the arthritis in my hands & my eyesight do let me down often these days. I have opposed the EU since 1962 & this is my swansong & should we lose this round then others will take on the fight I am sure. Try thinking a little more & a little longer. You may yet surprise yourself. It should not be passed over that you accuse me of being immature etc when I advocate an empty chair policy at NATO if the EU plays hardball but you elect not to mention France at all. It was France of course that invented the empty chair policy at NATO, not as a threat – they actually did it with France being absent at NATO for years. Why do you not comment on that Gregory? Was that acceptable to you? There is a great diference between the last EU referendum & this one. This referendum dabate is full of sarcasm, insults & vileness. A lesser quality of character being present I think.